By now you might have undergone some stressful periods due to your studies. If you get so busy that you forget yourself, this is a great opportunity to learn about taking a break from your stress. 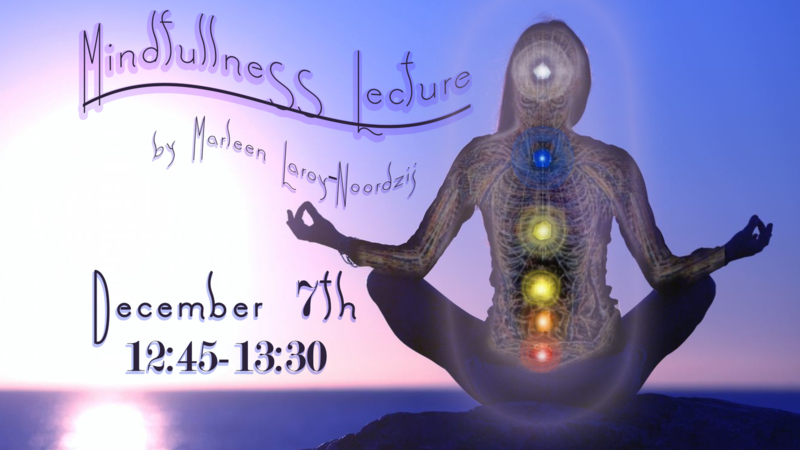 Marleen Laroy-Noordzij, Psychologist and CEO of Mindfulness Training Twente, will give a Lunch Lecture on Mindfulness (which basically is meditation minus spirituality) on the 7th of December! Afterwards feel free to join Dimensie's Meditation Session afterwards, to put the theory in practice.